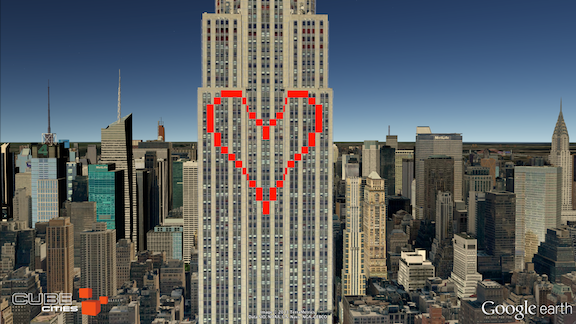 Only the Empire State Building can perfectly illuminate Valentine's Day in the Manhattan skyline. Click the graphic to see a video of the available space in the building fading out and romance fading in. It's the Cube Cities Grids version of this classic New York visual. Click here to see all available space in the Empire State Building from W&H Properties.